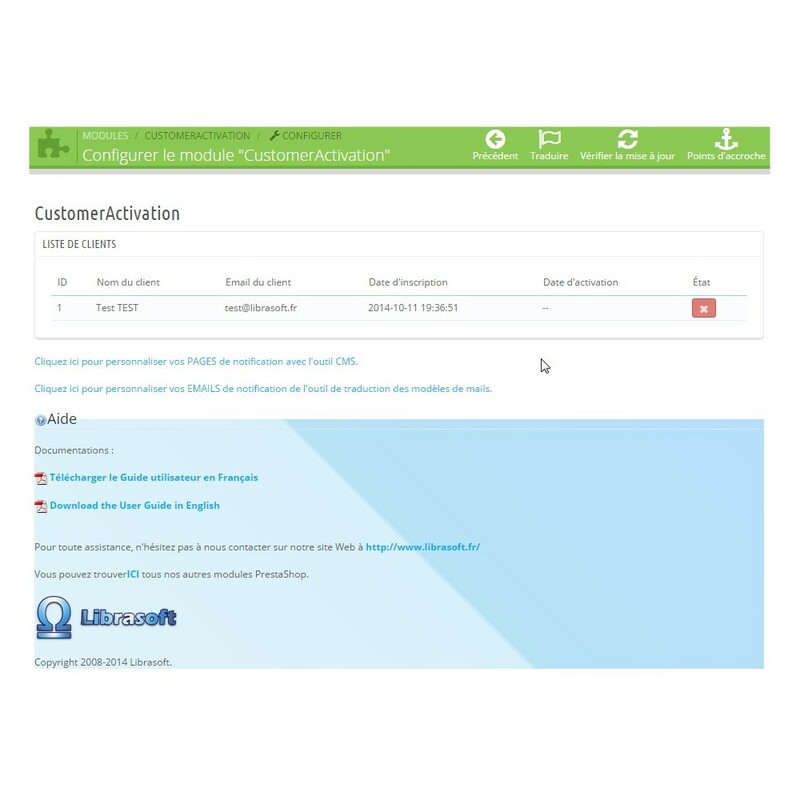 This module developed by LIBRASOFT allows you to filter the inscriptions in your website by accepting or refusing new customers. You will receive an email when a new customer is registered. 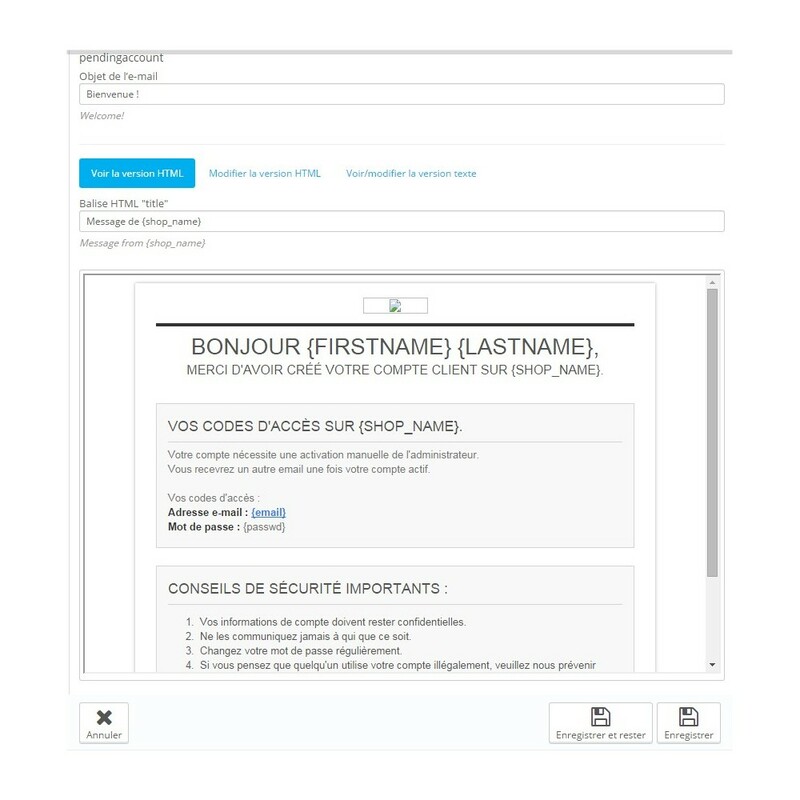 When you validate an inscription, a confirmation mail is sent to the customer. Accept / Decline a newly created account. 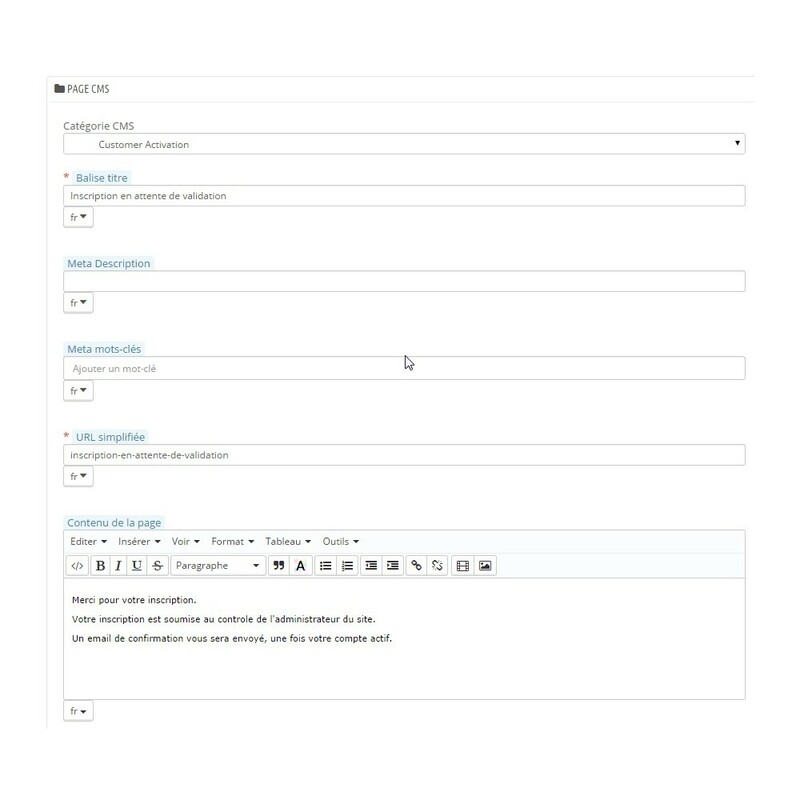 Quick Access to the back office of the module through the "quick access link"
Unzip the file and copy the directory / customeractivation in / modules. 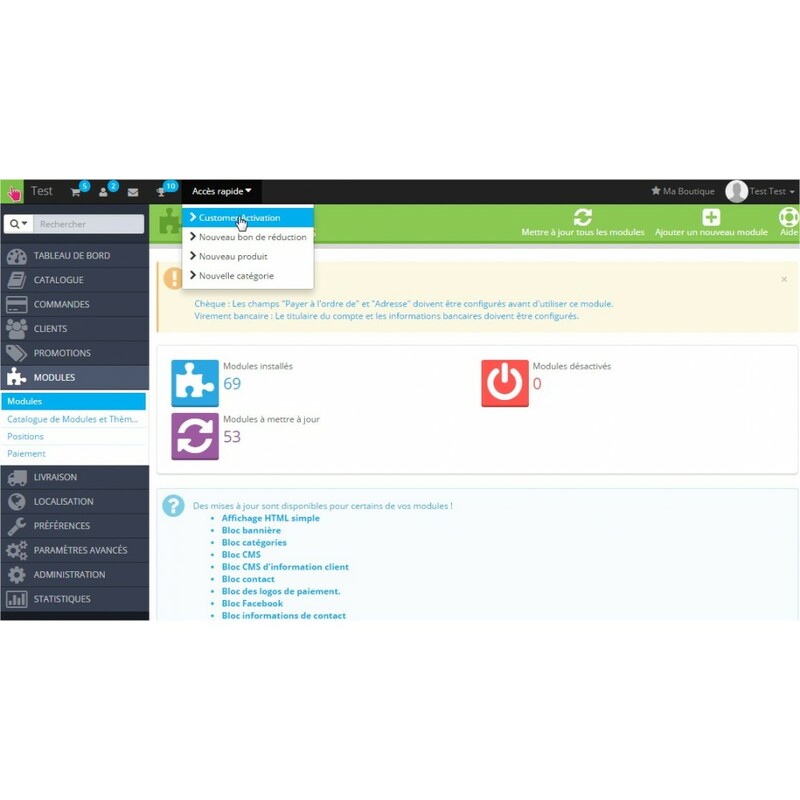 Search customeractivation module and click Install.